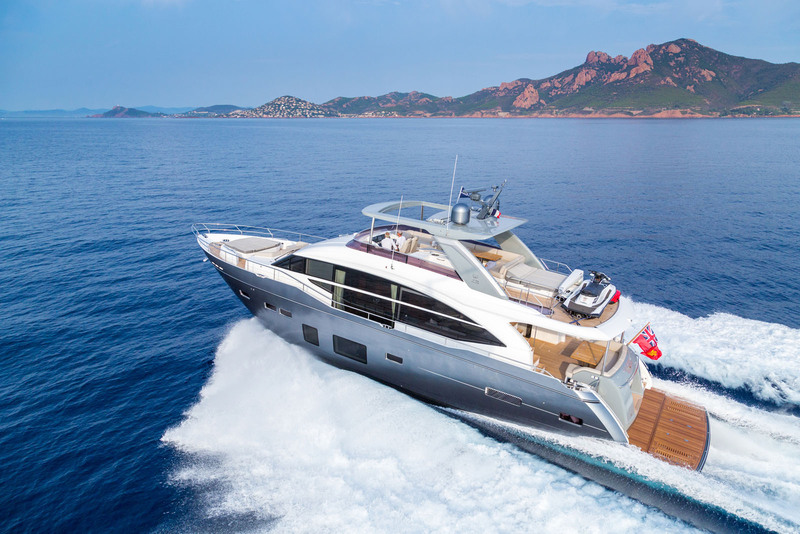 25m/81ft motor yacht LEMON NOT LIME was built by Princess Yachts in 2018 and features the naval architecture of Bernard Olesinski. 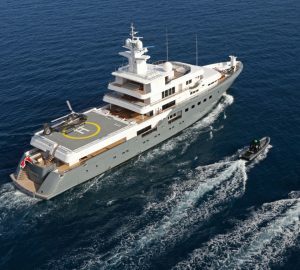 Constructed with a GRP hull and superstructure, she is lightweight and manoeuvrable while providing guests with sophisticated and timeless interiors to suit a family gathering, special event or business occasion. 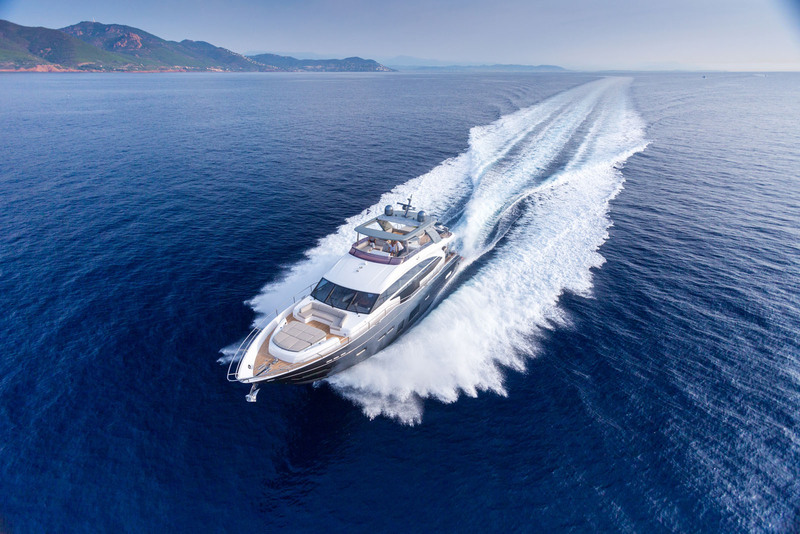 The accommodation sleeps a maximum of eight charter guests over four beautifully appointed cabins, with a crew of three for a quiet cruise with stellar service. 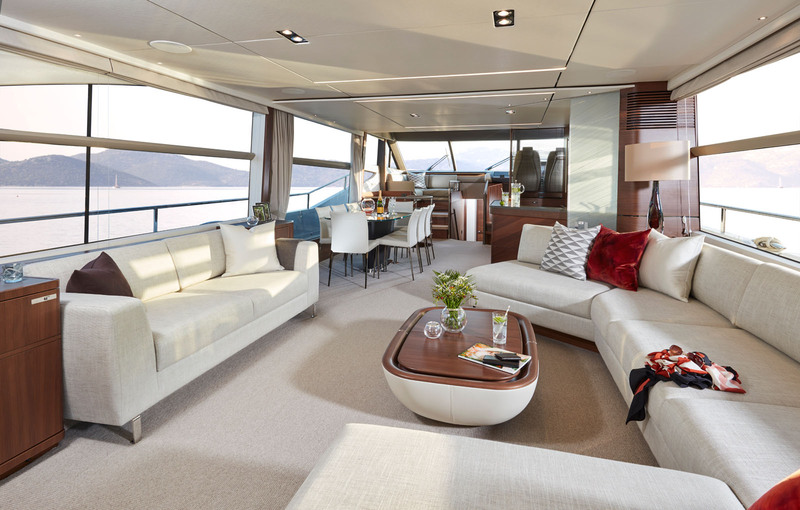 The lower deck swim platform provides plenty of space for guests to relax beside the water and after a swim, guests can dry off on the main deck aft while dining alfresco at the large dining table and stern integrated sofa. 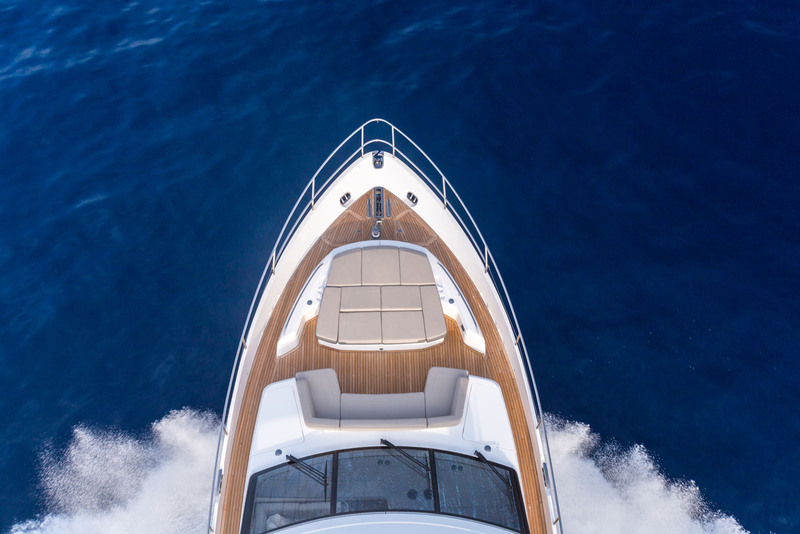 The foredeck is covered in sun pads perfect for an afternoon nap waking up to scenic forward views, and a cosy seat with a table for drinks together at sunset. 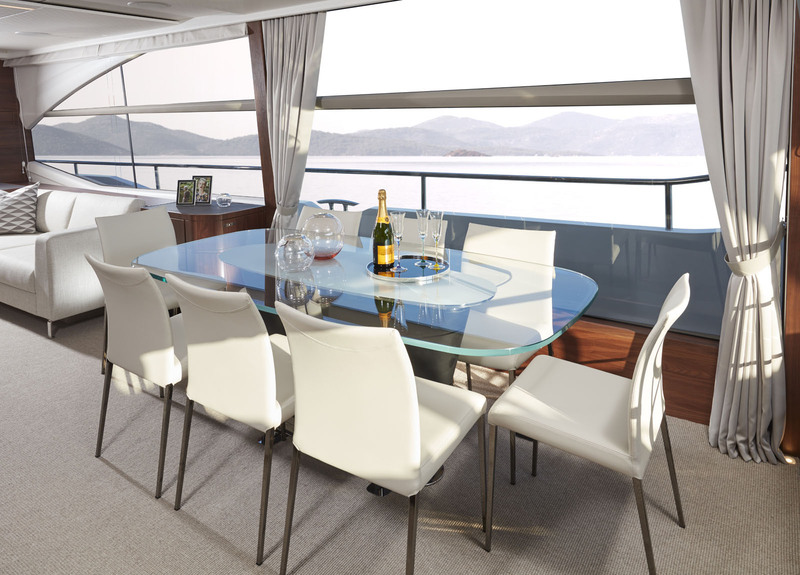 On the flybridge, there is an automated roof to expose the central lounge/dining area and bar to the sunshine or stars. 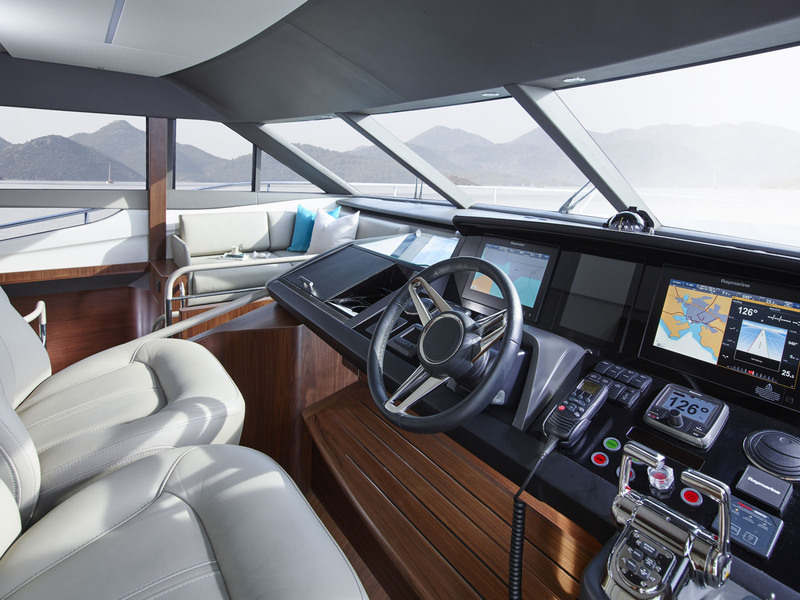 The sun-exposed helm station has additional guest seating on both sides and sun loungers to the aft. 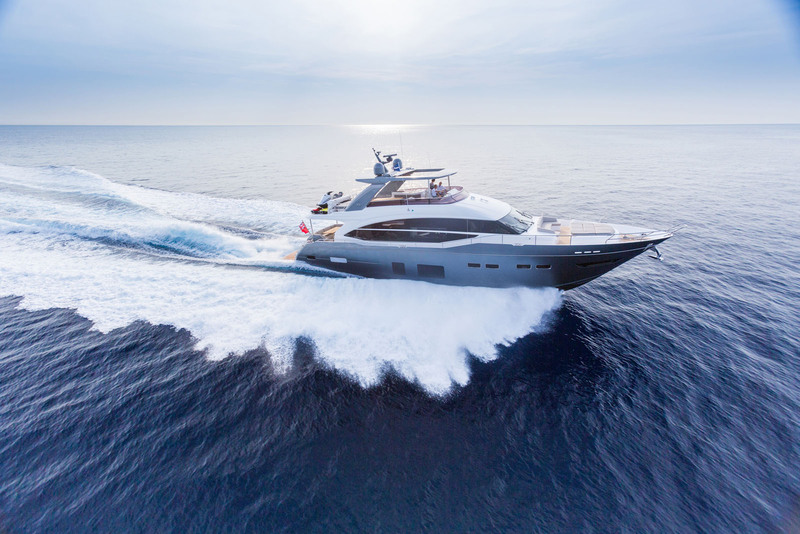 The lower deck contains the crew accommodation to the aft followed by the engine room and the guest accommodation amidships to the bow, consisting of a generous Master suite with a large en-suite bathroom, sizeable wardrobes and sofas to create a private lounge within the bedroom. 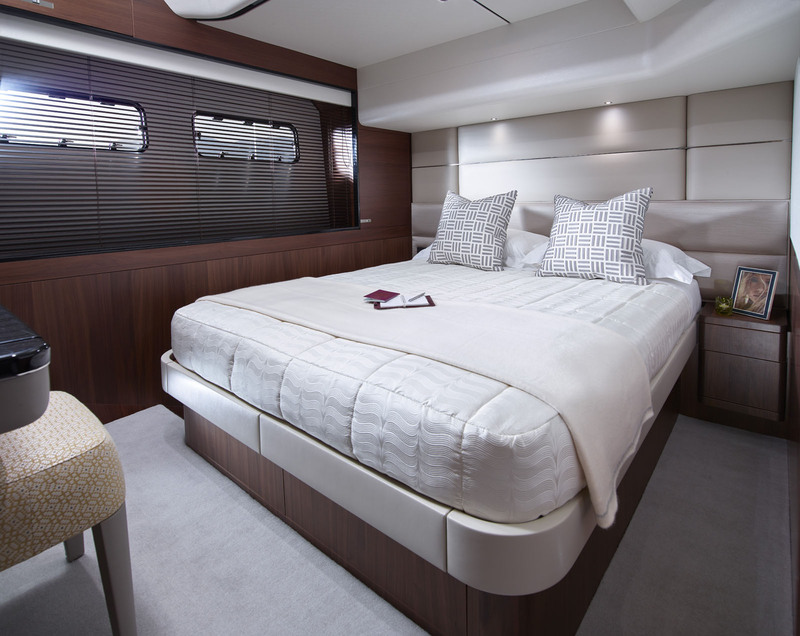 There are two other double cabins and a final twin cabin convertible to a double, all with en-suite facilities. 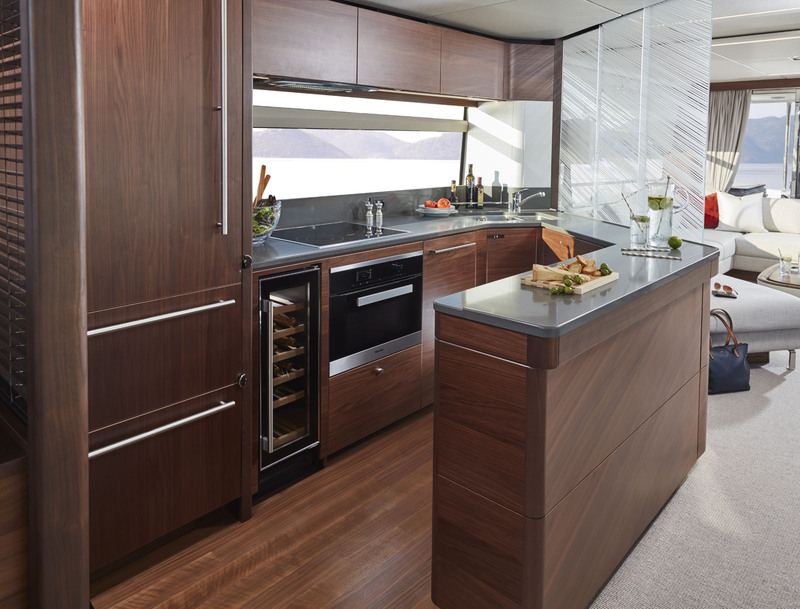 On the main deck, there is a raised seating area beside the helm station for guests to enjoy the forward views from inside, and behind the fully equipped galley will provide cocktails, chilled wine from the rack. The formal dining area to seat eight is opposite and extensive windows ensure that there is plenty of light while enjoying a meal or unwinding in the aft lounge. A large starboard side sofa and a smaller sofa opposite provide plenty of seating for guests and visitors to gather inside to plan for the day ahead or relax with a film on the widescreen TV. 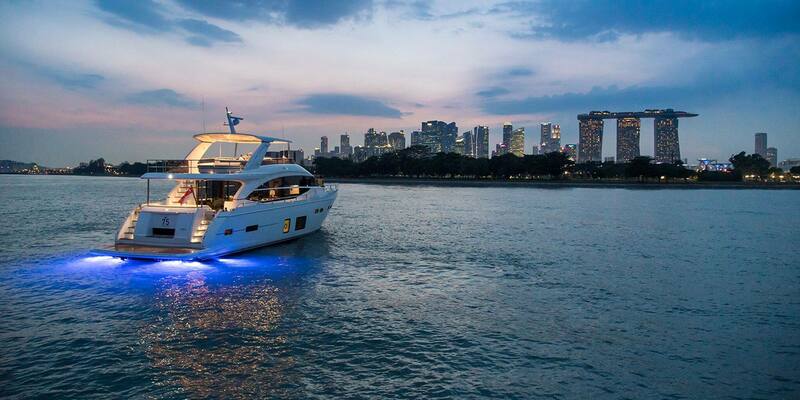 Twin MAN V12 engines producing 1800 MHP each allow for a cruising speed of 20 knots and a top speed of 27 knots. The accommodation sleeps up to 8 guests in 4 beautifully appointed cabins: 1 Master suite, 2 double cabins and 1 double cabin convertible to a twin. The crew of 3 will ensure that everything runs smoothly throughout the cruise.